Redrawing the Map of Africa? – Royal Times of Nigeria. It is shocking how quick we are forgetting that the political boundaries of the continent we live on were drawn by foreigners. 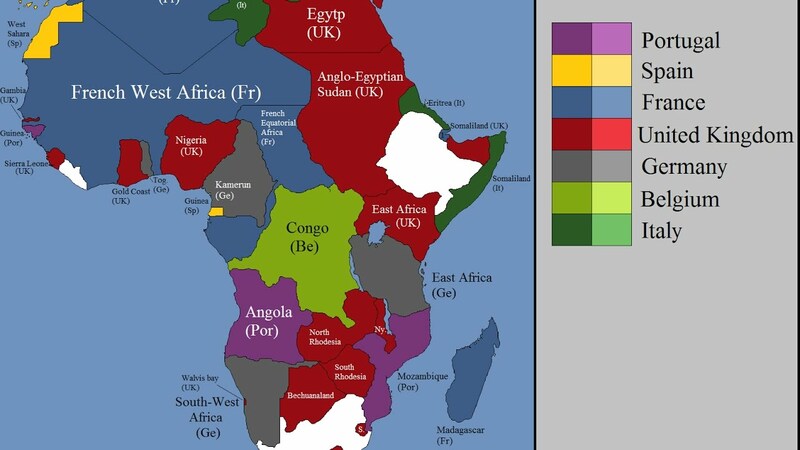 During the so-called “Scramble for Africa” in the 1880’s, a group of inept Europeans that were utterly ignorant of local conditions tactlessly partitioned our continent. The idea of dividing a continent into independent territories was conceived in Europe. As a result, the ideas of trespassing and land ownership are also European. The territorial lines superimposed upon the continent, as many of us know, do not reflect tribal identities. Subsequently, clumsily drawn borders sever ties between the Hausa, Yoruba, Egun, and Bariba tribes in the Benin Republic and Nigeria. Perhaps the Fulani herdsmen are on to something. Despite facing external pressures, we must stay true to our cultural mores and identity. Navigating the post-colonial world, we must also find that identity by distancing ourselves from the desires of our past and present oppressors. The perfect example of this is the inception of the world’s newest country. In 2011, South Sudan broke the shackles of forced unity by seceding from the rest of Sudan. The takeaway from this is that self-determination, though not necessarily secession, makes a strong state. Sudan is one of many African countries that have faced internal strife as a direct consequence of arbitrarily drawn borders. Enough is enough. For all we know, the borders of the African continent, as we know it today may instead have been all natural, such as Mount Kilimanjaro or the River Niger. Or alternatively, there may be pockets of unowned or collectively owned land, strewn liberally across the continent. Unfortunately, the world we live in is one in which capacity for violence determines who makes rules and draws borders. As a result, we will never truly know what our continent would have looked like if we were justly free to decide for ourselves. Thus, we do not know for certain, whether readjusting borders to suit ethnic cleavages will bring more unity and peace or cause even more strife within the borders in question. However, one thing is certain: TheWest will no longer dictate how we run affairs on this continent. Africa is and will forever be free to redraw our own borders. May God Bless this continent, Africa and the people of Nigeria.